The sky is grey with smoke from coal heaters. The frigid wind aggressively rips at the scarf around your face. The flowers are in bloom. The trees are covered in leaves. It is winter in Shenyang. The leaves are fairly convincing from a distance. The illusion falls apart on closer inspection. Even the bushes get in on the action. Much like the leaves, a closer look reveals the trick. 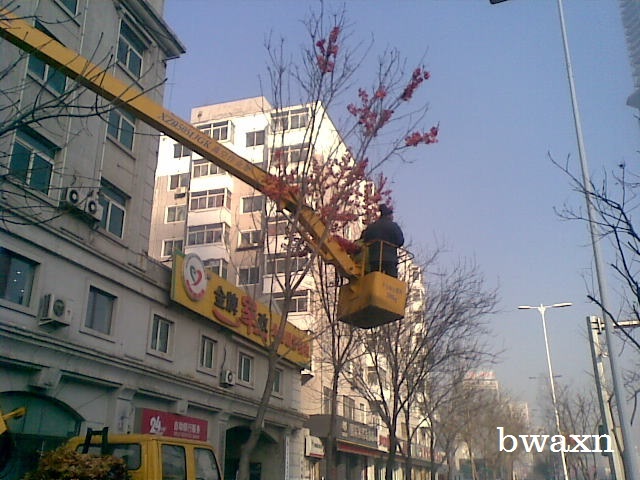 Hundreds of leaves - some with built in LEDs - are brought in and strung up along all the trees along the city's main road. 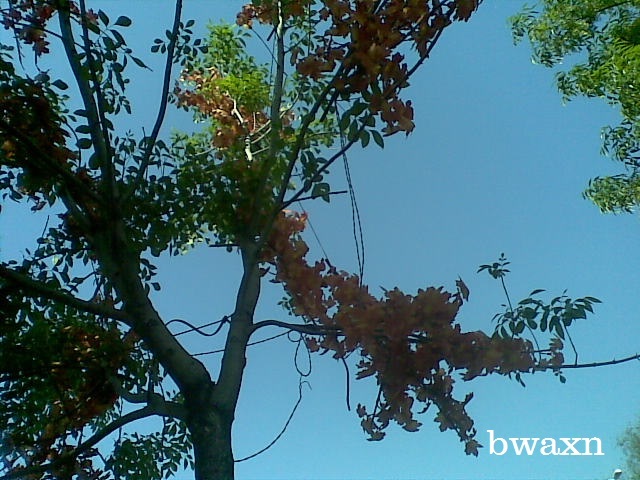 The leaves are tied to the branches of the trees and are left up for the remainder ofwinter. 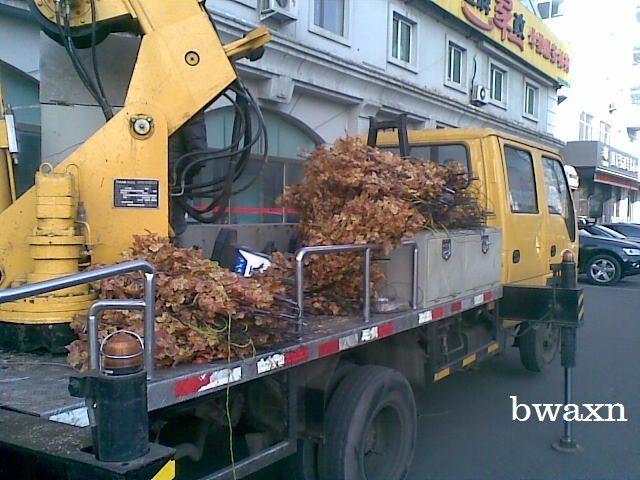 The leaves are put up by workers over the course of a few days. 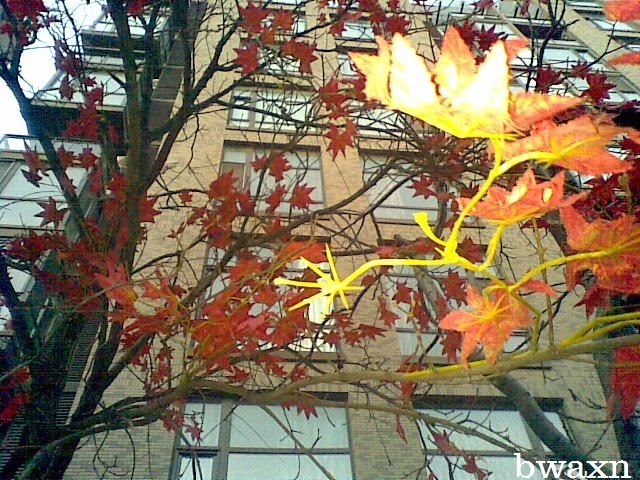 The leaves look very out of place come springtime. They're not taken down with the same care as they get put up. They're pulled off and not re-used.